A Tasmanian Budget with $2.6 billion aimed at infrastructure has struck the right chord with freight transport interests. With the government promising a 10-year Infrastructure Pipeline "detailing the major Government infrastructure projects" and a 30-year Infrastructure Strategy "to assist with long-term planning", the Tasmanian Transport Association (TTA) and the Australian Logistics Council (ALC) responded positively. High on the list, worth $1.1 billion for roads and bridges, is the new Bridgewater Bridge to tackle the choke point just north of Hobart. 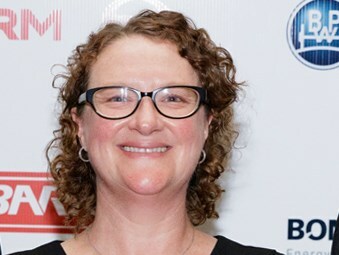 Confirmation that the long-awaited upgrade will finally be operating in 2024 was good news for the freight transport industry, according to TTA executive director Michelle Harwood. "The old bridge is a massive handbrake on freight movements," Harwood says. "It’s slow and narrow and constricts the flow of traffic badly so the Budget funding to replace the Bridge is very welcome. "With $1.1 billion spending on roads, bridges and rail, we will see improvements to our transport network across Tasmania with flow-on effects for the productivity and efficiency of Tasmanian industry. "This is valuable spending to support the many Tasmanian freight operators who rely on an effective transport network to run their businesses, employ many Tasmanians and generate important economic returns to our state. "We welcome the state government’s pledge to match the federal government’s commitment to Tranche Two of the freight rail revitalisation program, which will be of support to TasRail’s freight delivery services." "The Association looks forward to contributing to the Government’s infrastructure planning round table process, announced by the Treasurer. "We will continue to advocate for suitable rest areas for heavy vehicle drivers to be included at the planning stages for road infrastructure developments in Tasmania." The ALC also gave the bridge move the thumbs up, saying the Budget’s the $115 million investment, added to the federal Budget’s $461 million, would see the project go ahead. "Boosting the crossing capacity of the Derwent River with a new Bridgewater Bridge is top economic priority for Tasmania and for the nation," ALC MD Michael Kilgariff says. Kilgariff notes that Tasmania faces a unique set of freight logistics challenges as an island state and improving the efficiency and safety of its supply chains will be essential to continue building on the state’s strong economic performance in recent years. "To achieve that end, it will be vital to ensure Tasmania has the freight infrastructure in place that will meet the needs of a diversifying economy with a growing population," he says. "The current Bridgewater Bridge – constructed in 1946 and permitting only one lane of low-speed traffic in each direction – is an impediment to that outcome. "The construction of a modern, four-lane Derwent River crossing is the key to opening up Tasmania’s North-South corridor, allowing for more efficient movement of freight, improving road transport times between key ports in the state’s north and Hobart, and providing a safer experience for all road users,"
The TTA also notes the commitments to training, and health in the Budget. "Support for workforce development, and the mental health of our workers across the industry are key areas of concern to the TTA," Harwood says. "The $5,000 grants to support putting on new trainees and the payroll tax measures are important, particularly where we have occupational skills shortages in both transport and related service industries. "The association will be advocating for the Government to spend more specifically on mental health support, so we welcome the funding for the Rural Alive and Well organisation, who do really important work in this area." The state government underlined more general, business support including reducing tax on payrolls up to $2 million by 35 per cent, from 6.1 per cent to 4 per cent, saving put at up to $15,750 for all businesses that pay this tax. "Our payroll tax will be the most competitive of any state for businesses with payrolls up to $4 million," Treasurer Peter Gutwein says. "This will be of particular assistance to small and medium-sized businesses enabling them to continue growing and employing more people. "Small businesses that do not pay payroll tax will also benefit from $7.5 million in targeted small business grants over the next three years, to support the employment of more trainees and apprentices in areas of high skills demand." Road infrastructure spending over the forward estimates, including the bridge, is expected to rise from $167.7 million to $175.7 million to 2021-22 but the Heavy Vehicle Safety and Productivity Program, worth $1 million last financial year, has ended. A provision of $180 million, or $60 million a year, has been included for additional federal roads funding, pending finalisation of the next five year agreement. "This is based on Australian Government roads funding over recent years and provides a more accurate estimate of the likely level of infrastructure expenditure that will occur over the Forward Estimates period," the state government says. Department Of State Growth roads program expenditure, however, is due to fall from $316.8 million to $292.9 million in 2021-22. Department Of Primary Industries, Parks, Water and Environment biosecurity risk management and truck and machinery washes spending is to rise from $200,000 to $600,000 in that time. Dividends form the Tasmanian Ports Corporation are expected to rise from $3.7 million to $10.8 million over the forward estimates, while the TT-Line Vessel Replacement Fund gains $80 million over the next two years in special dividends from TT-Line Company. Greater Hobart Traffic Vision $3.3 million.